California-based web application security firm Signal Sciences on Tuesday announced that it raised $35 million in a Series C funding round, which brings the total raised by the company to more than $61 million. The latest funding round was led by Lead Edge Capital, with participation from existing investors CRV, Index Ventures, Harrison Metal and OATV. Signal Sciences plans on using the newly obtained funds to accelerate market expansion and product innovation. Founded in 2014, Signal Sciences provides next-generation web application firewall (WAF) and runtime application self-protection (RASP) technologies designed to protect business-critical applications, APIs and microservices. Signal Sciences solutions are designed for development, operations and security teams. The company says 95 percent of customers use its platform in fully automated blocking mode, which means there is no need to hire someone full-time for running the system. 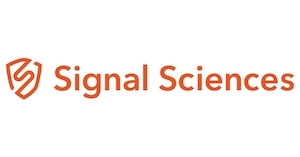 Signal Sciences says its customers include many major brands, including Adobe, Etsy, Vimeo, WeWork, One Medical and several cybersecurity solutions providers. It claims its products help protect over 10,000 applications, with its platform deployed across more than 40 hybrid and multi-cloud environments.